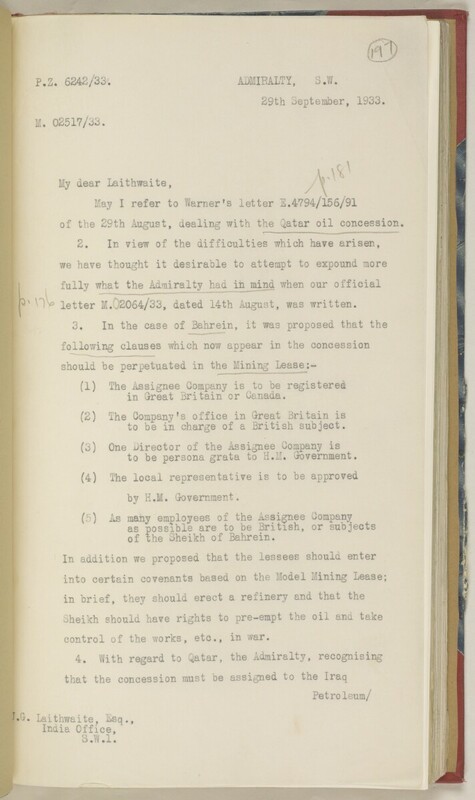 letter M.02064/33, dated 14th August, was written. in Great Britain or Canada. to be in charge of a British subject. to be persona grata to H .M. Government. of the Sheikh of Bahrein. control of the works, etc., in war.